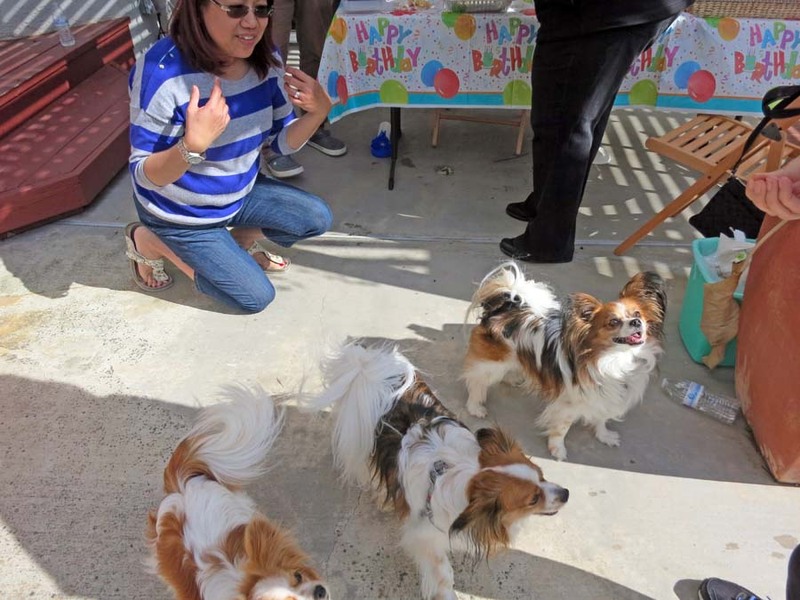 On 4/23/2016 a few people gathered to celebrate Belle's fourth birthday. 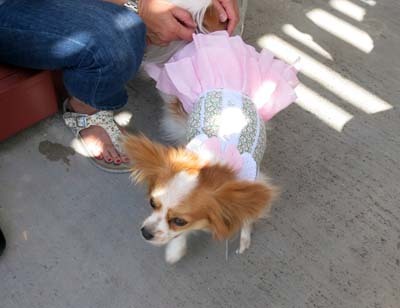 Belle is a Papillon Dog so many of the invited guests were Papillons. Click here for pictures from a birthday party two years ago. Below here are some pictures from the party on this page. Click on any picture below for an ENORMOUS version. 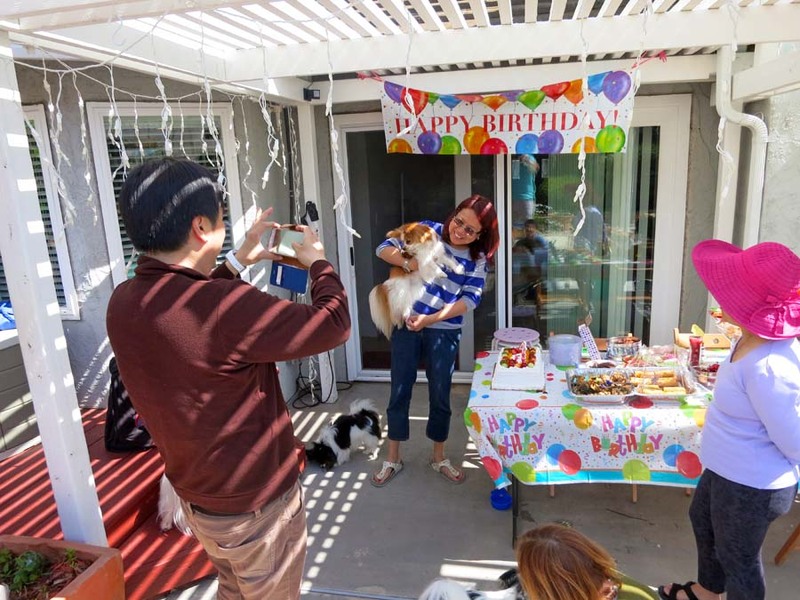 The party was held at Billy and Evelyn's house at 703 London Drive, Milpitas. Here is the birthday girl (Belle) with her sign and doggy treats and human treats on the table. The birthday girl in her new dress.